WASHINGTON -- Melting ice sheets in Greenland and Antarctica are speeding up the already fast pace of sea level rise, new satellite research shows. At the current rate, the world's oceans on average will be at least 2 feet -- 61 centimeters -- higher by the end of the century compared to today, according to researchers who published in Monday's Proceedings of the National Academies of Sciences. 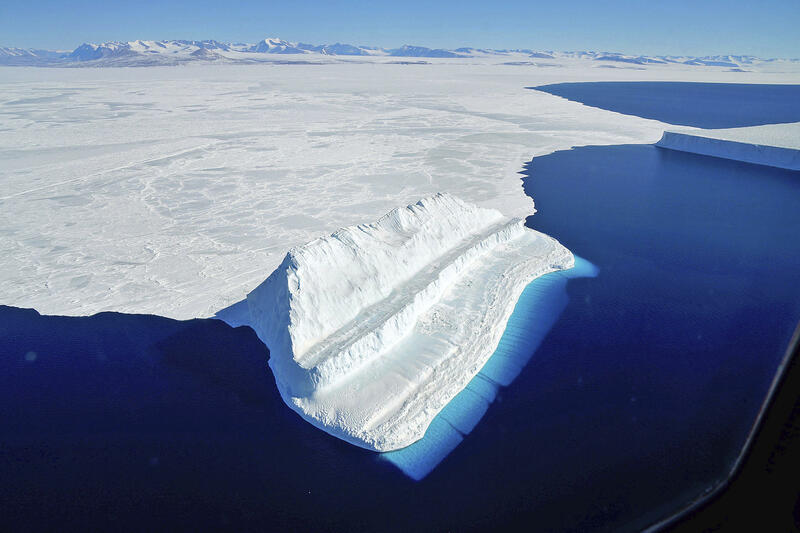 Of the 3 inches -- 7.5 centimeters -- of sea level rise in the past quarter century, about 55 percent is from warmer water expanding, and the rest is from melting ice. But the process is accelerating, and more than three-quarters of that acceleration since 1993 is due to melting ice sheets in Greenland and Antarctica, the study shows. Like weather and climate, there are two factors in sea level rise: year-to-year small rises and falls that are caused by natural events and larger long-term rising trends that are linked to man-made climate change. Nerem's team removed the natural effects of the 1991 Mt. Pinatubo volcano eruption that temporarily chilled Earth and the temperature variations linked to El Nino and La Nina, and found the accelerating trend. Two feet of sea level rise by the end of the century "would have big effects on places like Miami and New Orleans, but I don't still view that as catastrophic" because those cities can survive -- at great expense -- that amount of rising seas under normal situations, Nerem said. But when a storm hits like 2012's Superstorm Sandy, sea level rise on top of storm surge can lead to record-setting damages, researchers said. Some scientists at the American Geophysical Union meeting last year said Antarctica may be melting faster than predicted by Monday's study. Greenland has caused three times more sea level rise than Antarctica so far, but ice melt on the southern continent is responsible for more of the acceleration.